We say beauty is all in the little wedding details. One of the most stressful events you’ll ever plan in your life is likely to be your wedding. Although you’re happy to be spending the rest of your life with someone you love, trying to put together a function that not only symbolizes but celebrates your love as a couple, is a lot easier said than done. Though there’s a lot to focus on, it is important for engaged couples to remember that it’s often the small things that matter most. 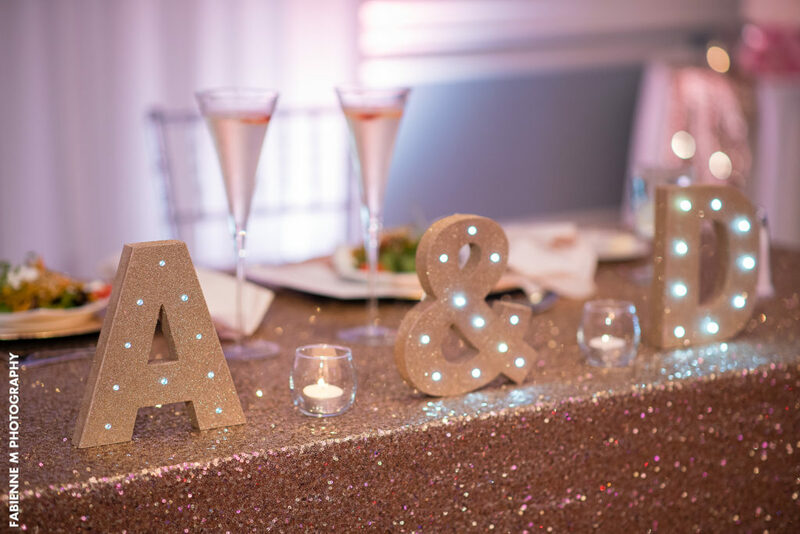 If you’re planning a wedding in New Jersey, these little details can add a big wow factor to your wedding day. If there’s one wedding detail your guests are going to appreciate at your wedding reception in New Jersey it’s ice cold seafood or ice cold beverages. 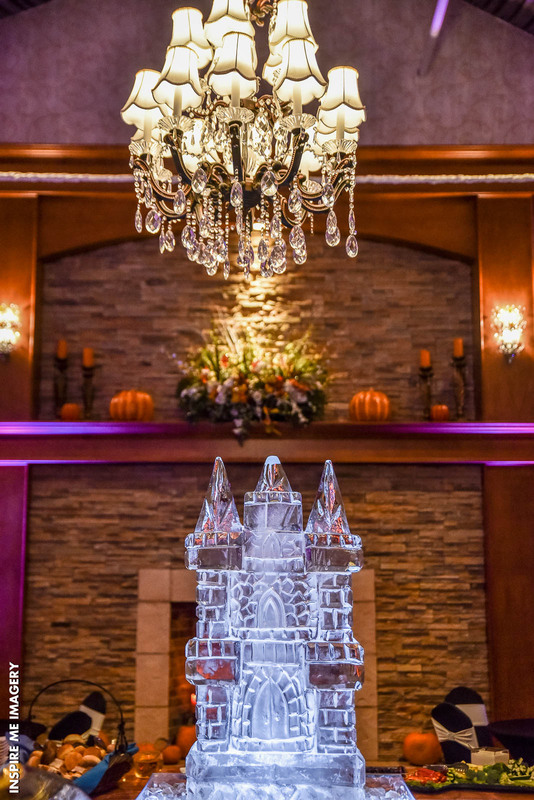 What better way to accommodate their needs and add some entertainment to the occasion than to show off some custom ice sculptures. The all new High Tide station comes with a carved ice tower stuffed with chilled cocktail shrimp cascading down over crushed ice. 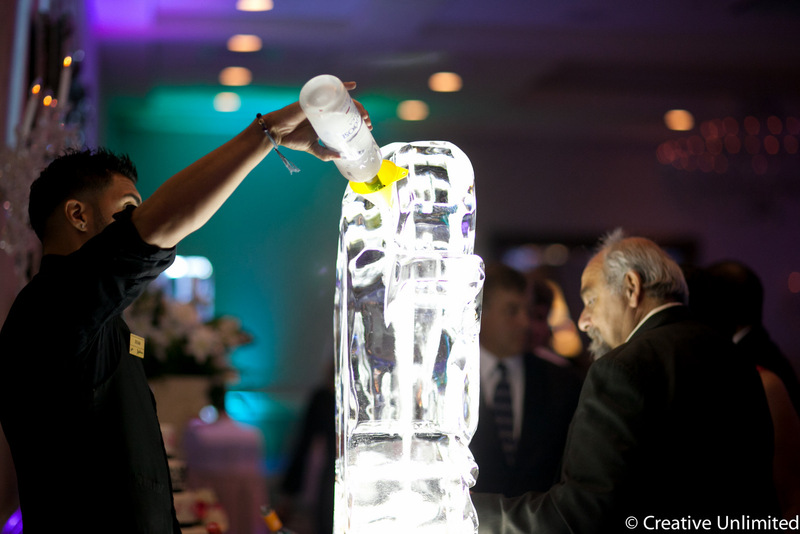 The Vodka Ice Luge will keep your guests elated and entertained for cocktail hour as flavored vodka is poured down an ice block straight into their glass. Custom ice sculptures with a theme or name can also be added for decoration and wow-factor. When your wedding guests step into your reception hall in New Jersey, they want to be blown away. One of the first things they see when they walk in are the centerpieces and table decor. A well-designed table setting can set the tone and really give your guests something to talk about. Head to our Facebook page, Instagram, and photo gallery to check out inspiration from past brides. When you get married at the Crystal Ballroom, we include centerpieces in all our wedding packages! 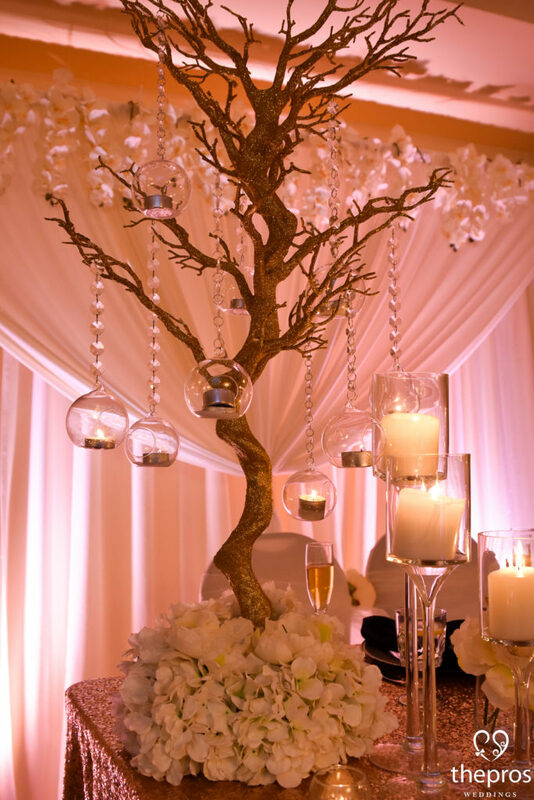 If you want something more custom, our wedding experts can help you envision your perfect decor and find you the florists and wedding planners that can make your wedding detail dreams a reality. 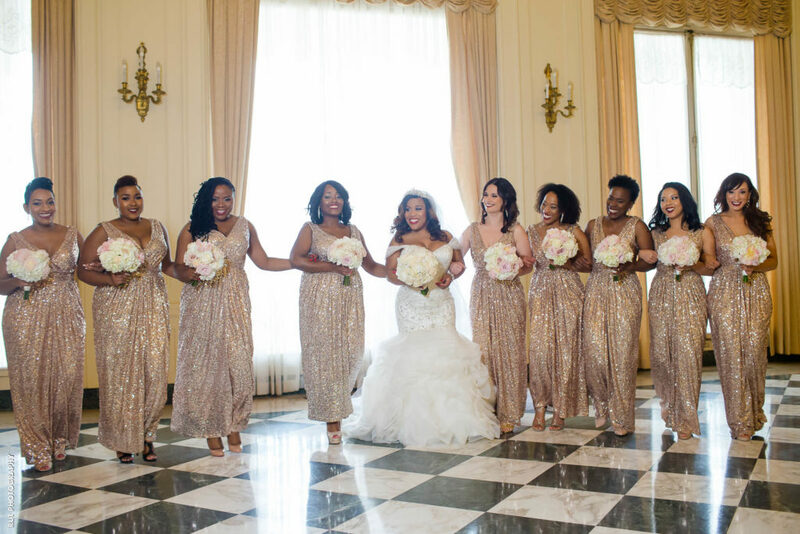 One of the biggest wedding detail not to overlook is choosing the right attire for the bridal party. No matter what theme you’re going for, remember to have fun with it. Allow your bridal party to show some character and step outside of tradition. 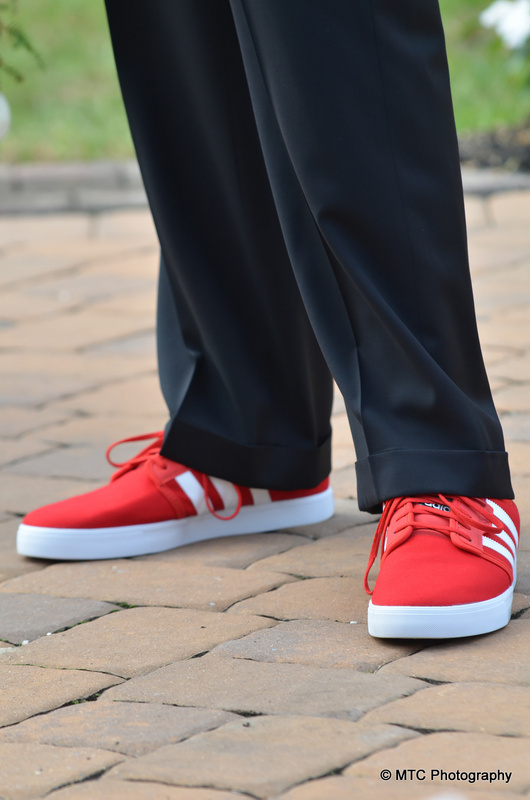 Bedazzle your bridesmaid dresses, let the groomsmen wear sneakers, buy each individual custom cuff links or a custom necklace, whatever makes you feel most comfortable. Don’t get so hung up on planning your wedding in New Jersey that you forget about the little wedding details. Believe it or not, after the wedding is over, you’ll find that your guests appreciated the simplest things the most. What little details might you consider adding to your wedding day?